Wanted to wish you all a Happy St.Patrick's Day!!!! Here is a previously released "Lucky Me 2011" Free Mini Kit. Thank you so much for this post. I want to let you know that I posted a link to your blog in CBH Digital Scrapbooking Freebies, under the Page 3 post on Mar. 18, 2011. Thanks again. Thank you so much for this post. 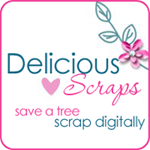 I want to let you know that I posted a link to your blog in CBH Digital Scrapbooking Freebies, under the Page 2 post on Mar. 18, 2011. Thanks again. Thanks for the beautiful kits! Thank you so much for the lovely freebie!